Instead of gifting the same old roses and chocolates for this Valentine’s Day, why not let the creative juices flow and make a unique gift hamper. A typical gift hamper is made of a wicker or weave basket, which is lined with shredded paper or straw. It is now filled with treats and goodies, wrapped in cellophane and tied together with a bow and ribbon. The market is filled with companies offering gift hampers- some pre-arranged and some customized according to your need and taste. 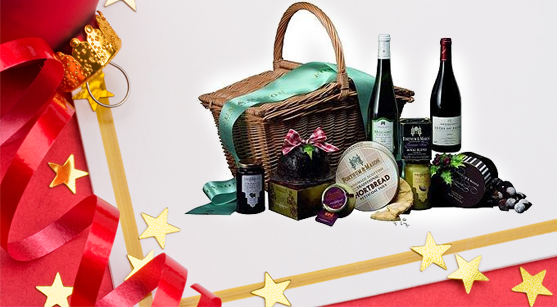 Online gift hampers are available in plenty. But nothing can beat a Valentine’s Day hamper for your friend that you have assembled with your own hands and conceptualized in your mind. The box: You can make your own gift box, which has some advantages over store bought ones. You are free to choose the size of the box. Theme, design and colour are up to you. You can fill it with as many products and items as you like. No need to wait for a store to deliver the box. Customizing the box: Decide on whether you want one single compartment or layers according to various themes. Create a box as you like. Don’t forget the lid. Line the hamper with tissue paper and some more after you have arranged gift items inside. Secure the box with a ribbon. Include a bow and a hand written gift card. A gift hamper is as easy to make like a gift box. Only difference is that contents are visible before opening in the case of a gift hamper. Plan what container you will be using such as tin, wooden crate, tray or wicker basket for the base. Your container can be anything from a fishing tackle box to a vintage hat box. Gift a box that can be reused. Teenage girls will appreciate a makeup kit filled with Valentine’s Day treats. A wife may like a craft box and the husband a tool box. Include one star of the party or main gift. For instance, a woman may like a special necklace, a young teenager, an MP3 player or iPod shuffle and the man, a new DVD. Go traditional: No need to ignore the traditional items. 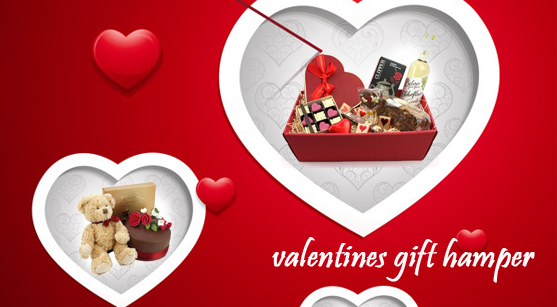 Valentine’s Day is incomplete without chocolates, so pack some favourite brands. Select some colourful candies like kisses or truffles or go online and buy some personalized M &M’s. Add a mixed collection of chocolates in the hamper. To the base, add shredded paper or straw. Line the hamper with these so that the treats and goodies have proper cushioning. Include a card. Create a sweet little card with a romantic thought etched on it. You can use a famous quotation or love poem or write your own love poem. Ensure that it is personal and sweet. Wrap up the hamper: Wrap the hamper in some coloured cellophane (available at craft stores). Secure the hamper with a ribbon and tie a bow on the top. You are now ready to create an impression with your gift hamper. 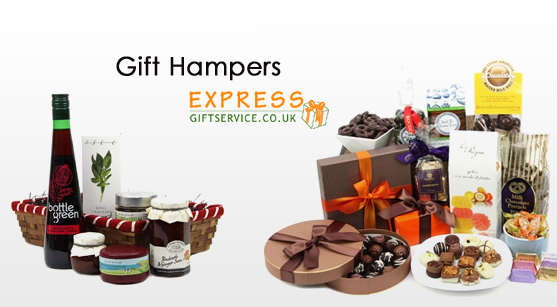 If you are not up to it, you can order cheap gift hampers online in UK for the special day. 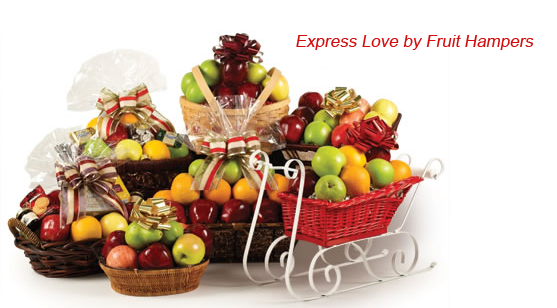 Instead of buying one present for a loved one, surprise him or her with an entire basket filled with gift items. The good thing about gift hampers is that you can customize it for any occasion and to cater to all budgets. 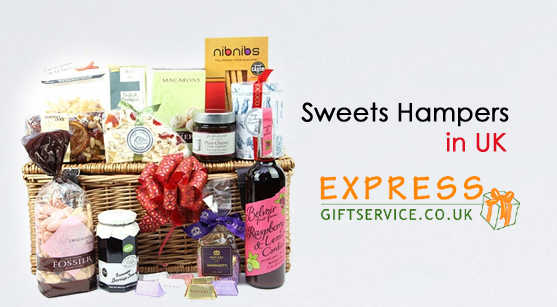 If you are lost on what to gift a loved one or want to give multiple gifts, you can do well with a gift hamper filled with different goodies based on a particular theme. 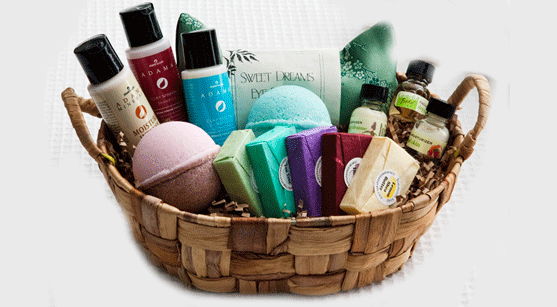 There are many online sources, which offer gift hampers of different types. But nothing can beat a gift hamper assembled at home. You can fill the hamper with all the TLC (Tender Loving Care) you can offer by choosing gifts that will be liked by the recipient. Choose some theme for your gift hamper. Choosing a theme narrows down the list of potential gift items and makes shopping easy. It may be easy or difficult to choose a theme based on the nature and preferences of the recipient. The theme may be easy if there are obvious needs of a recipient- if she is a new mother or a student leaving home for college. For a birthday, one can choose themes based on the hobbies of the birthday girl or boy. Create a list of gift items that can go into your gift basket, especially when you have a theme. You can come up with new ideas while shopping, but it is always good to start with a list. Consider buying one or two expensive gifts, a few less expensive ones and some inexpensive novelty items. For instance, in case of a movie theme, main gift items could be DVD’s. Novelty items could be candy and popcorn. Try your hand at making some items yourself or enhancing some items with a personal touch. You can bake some cookies or cakes for a gourmet gift hamper. Buy a selection of items for the gift hamper. One may face the adding up the price of a number of individual items. So keep a tab on the budget while shopping. Enhance the looks and quality of a particular item by repackaging them. For example, a lotion in a 99 cent plastic bottle will look like a grand gift when you package it in a glass bottle and tie a ribbon on top. 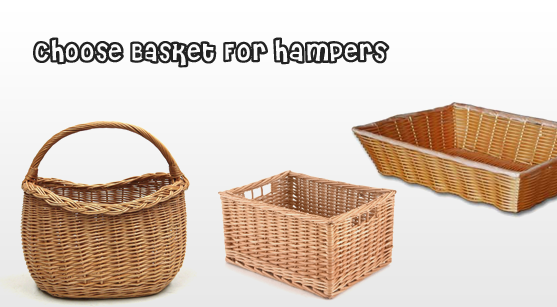 Next step is to select a container like a wicker basket for the gift hamper. Gather together all the items of your hamper to judge how big a container you will need. You can find plastic or wicker baskets of different shapes and sizes in craft stores. Or else, go for the unusual and pick a container that will also serve as a gift such as a pie dish, vase or baking tray. A wok or a chopping board can do well for a food themed hamper. Arrange your hamper properly. Line the container with tissue paper and fill with shredded paper or cloth. Now, arrange the items carefully. The delicate items can be cushioned by adding scrunched up paper. You can wrap each item or/ and cover the whole hamper with cellophane or gift paper. Finish with ribbons and bows. These are some ideas for assembling a gift hamper. 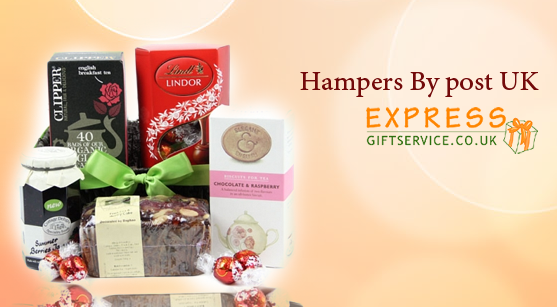 After you finish creating them, get hampers delivered anywhere in the country, using a reliable courier. A sweet gift hamper is a basket filled with sweet tasting items and can be presented for a special occasion like Christmas. A sweet hamper is a wonderful choice if recipient has a sweet tooth but must be carefully assembled depending on his/her dietary restrictions. Make a list of items you wish to include in the hamper depending on the likings of your recipient. Sweets included may be types of candies, chocolates, jellies and jams, cookies and cakes. Or, you can select a particular theme like chocolates and add different types of chocolates in a single hamper. You can buy items according to your budget. Select a basket: The most popular baskets are wicker baskets with or without handles and lids. 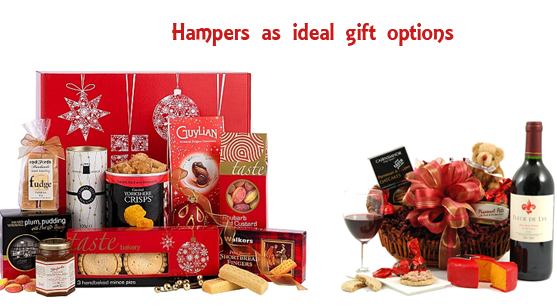 Buy all the ingredients of the hamper first, so you can select a basket that can accommodate all the sweet items. Choose a basket that is shallow and wide. Steer clear of baskets that are narrow and deep as they will not display contents properly. Cover the inside of the basket with tissue paper or a piece of quilting cotton. This adds to the good looks of the basket and protects the soft items from the hard surface of the basket. This cushioning also helps to transport the basket easily. You must wait for adding more height to the arrangement till you organize and position the items. Crepe paper and shredded paper will do well to line the hamper. If you have a shredder, make your own fillers with a few sheets of coloured paper. 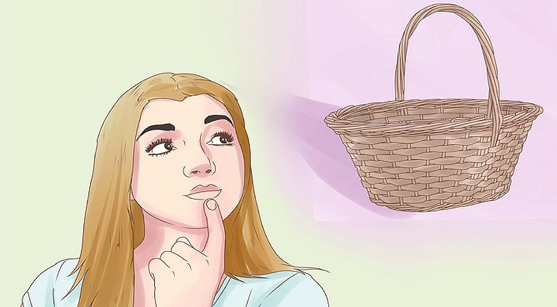 Now position the sweet items inside the hamper. Whether you are using a box or a basket, you should position items based on your preferences. The tradition is to place the larger items at the bottoms and smaller items at the top or in the front, but you can also stagger some small items at the back. You can place large items flat and surround with small items. If you wish to increase height of items, you can add tissue paper as cushioning. The hamper can be decorated with ribbon or/and Christmas accessories like ornaments, bells, pine cones or holly leaves that can complement the sweets inside and stick to the holiday theme. Glue the decorations to any part of the hamper- sides/ front-back, rim, lid (if it has). These decorations must help improve the overall look of the hamper. Wrap the entire basket, including all the sweets with coloured cling-wrap made of plastic. For making the basket more secure, use more layers of wrap. Ensure that whole basket from top to bottom has been covered. Place a bow made of ribbon at the top of the hamper. These are some tips on how to assemble a sweets basket at home for Christmas. Holidays are meant to be good. Here are some path breaking suggestions to make them better! There is no place to sulk during a holiday and it is imperative to make the most out of the time. 1. Be practical and put the “perfect” holiday out of your head. No one, and I mean no one, has a perfect, picture-impeccable occasion. By setting desires in advance — and keeping them reasonable — you won’t be disillusioned that your family assembling decays into an alternate consuming free-for-all, when it has happened consistently since you can recollect. 2. Take a period out from realism and do something profound, family-centred, or non-materialistic this season. Very frequently, we become involved with the shopping, the unlimited deals, the “need” to verify we purchase something for everybody, that we dismiss things that truly matter — our fellowships, our family, or a person who may be less lucky than us. Volunteer at a sustenance bank, do something extra for your congregation, embrace a family in need this season. On the off chance that you cut only 10% of your spending on blessings and gave that cash to philanthropy, you’d be astonished at the amount of a distinction such giving would offer assistance. 3. Take a period out from family contentions, stewing quarrels, and miserable connections. In a perfect world, we’d be companions with everybody and everybody would be companions with us. Anyhow in this present reality, we get into differences or frequently undeniable contentions with others we think about. In the soul of the giving season, give something that is inestimable — your empathy and absolution (regardless of the possibility that just transitory) to those in your life you feel have wronged you somehow. 4. Are you feeling overpowered by a lot to do and excessively little time to do everything in? Plan everything out at this moment on your most loved datebook or organizer, and then stick to it. The key is to be mindful of your limits. Indulge in calculated fun in a way that you don’t hurt or offend anybody. Take care of all your loved ones and leave a gift of remembrance when you part. 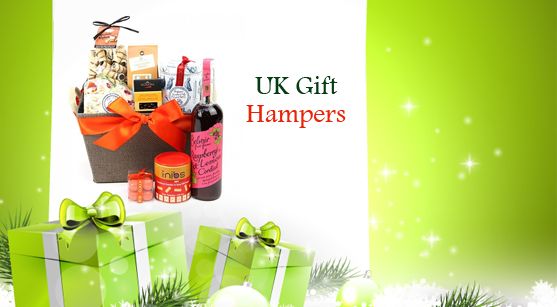 UK Gift hampers available online are the easiest to order for such occasions. Have a blast and enjoy your time! Gift baskets or gift hampers are personalized gift items meant for friends and family for special occasions. The most attractive feature of gift baskets is that they can be customized to give maximum satisfaction to the recipient. 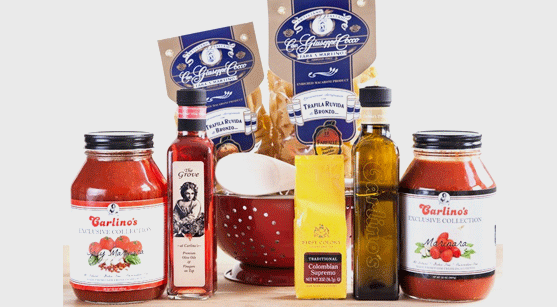 Many stores and gift shops will give you the option of selecting from pre-made gift hampers. But nothing beats the value of a gift hamper that has been carefully assembled by your own hands. It is gratifying for both the recipient and you. Choose a container, with or without a handle. Choose colour and design that appeal to you and with sufficient depth to accommodate gift items. Some unique choices for containers are buckets, serving bowls, pie dish, ice buckets, pretty pottery and decorative boxes. Baskets for children include colourful sand buckets and toys like dump trucks. For a baby shower, a baby tub can do well. For all recipients, take note of their interests and hobbies. For adults, theme of hampers can be tea party, romance, gardening, gourmet, Mother’s day, Easter, Father’s Day, Fruits, Cookies, Valentine’s Day, wedding, kitchen, sports or senior citizens gift hampers. Teenagers will like hampers with the theme of a favourite book, band, movie or actor, beauty kits, chocolates, items for sleepovers, art supplies or scrap book items. Small girls will like pink themed or Barbie or other doll themes, craft items, Easter baskets, etc. Small boys will like sports theme, car, and items related to video games, book series (Harry Potter!) etc. Fill the bottom of the hamper with packing peanuts. Cover the ‘peanuts’ with shredded paper fillers or tissue paper. Tallest items must be kept in the middle, medium sized ones outside and small ones in between. Ensure delicate items are packed specially with tissue to prevent breakage. To keep some items in place, tape them together or to the handle of the basket. You can add small items like silk flowers, candy, Christmas ornaments etc. to make the hamper more special. Purchase cellophane paper from craft stores or dollar stores. Cover the basket with this. If making use of a bag, gather the material at the top and tie using a ribbon. Let some plastic fluffed out at the top. Add a cute bow and tape the bag to the basket if it is sticking out. Include a gift tag before wrapping up the gift hamper. 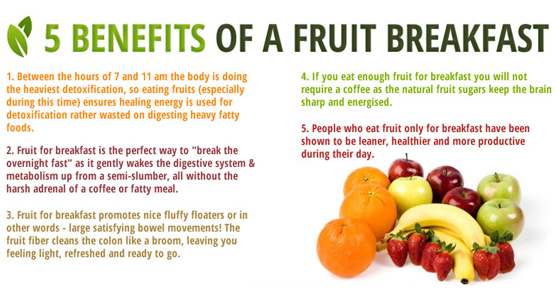 Fruits are not durable and will decay. So, make sure a fruit hamper is delivered at the soonest possible time. You can include sweet wording and quotations on the gift card. Cellophane is sold in types like festive, print, coloured or clear. Clear is most popular. While using bows, make sure they are of the right size. Do not let a small sized hamper be overwhelmed by a huge bow. These are some tips for making a hamper. 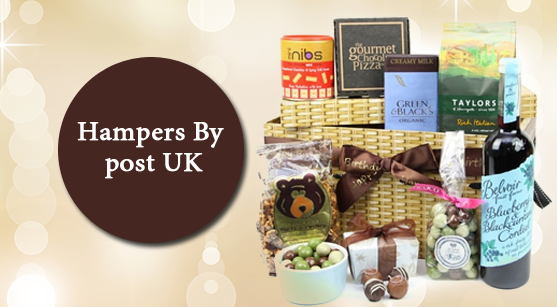 After you make this much valuable hamper infused with your thoughtfulness and care, you can send hampers by post UK, to your loved ones wherever they are. Where a home is incomplete without a mother, a father is the homemaker. This raises many eyebrows, father, and a homemaker but in reality, this as true as the existence of the father being the only shield from the externalities. Moreover, a homemaker deserves a tribute for at least one day of the year. A father is the person, providing for the monetary resources. In recent times, both the main family members are involved in economic activities. However, father is the main person responsible for gathering all the resources and optimizing the resourcefulness of the opportunities. So one day should be dedicated to this resourceful figure of the home. Not much is required to make the day special, but discreet choice of items, from gifts to celebration theme, is going to make the day a memorable one. Fathers usually are die-hard fans of chocolates, so a gift full of multi-choice chocolates and candies are going to water their mouth. In addition, a sugar-free chocolate package is no less than a heavenly surprise for the fathers, when they can feast on their favourite candy bars without worrying for anything. Less sweetened chocolate cookies, are the fun time with tea and muffins. 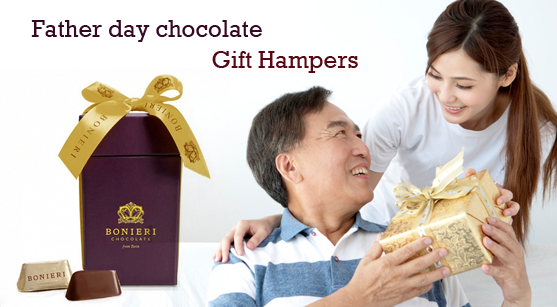 The father day chocolate gifts hamper, are one of the collection of the best brands of chocolates. Carefully selected from the best regions of the world famous for chocolate making art, for instance, Belgian chocolates and truffles are a speciality for the true lovers of chocolate. English organic chocolates are no comparison for any other chocolate. Many retailers offer a refined selection of chocolates ranging from green chocolate to dark brown chocolates and milk chocolates, fruit chocolates and nuts and caramel filled chocolates. Peanut butter filled chocolate cup cakes are also one of the yummy assortments available for the fun lovers. A basket full of chocolates becomes catchy when embellished beautifully. A creative and more graphically designed wrapping have greater appeals. Less usage of paper and more use of card box and handy styles are made specially to cater the requirements based on gender-based style ideas. Along with gifts items, father day should be celebrated by taking father out for fishing trip that can be pleasing factor and making a seafood theme, is definitely going to make a memorable end of the day. A good hunting and cherishing the hunt is another way of making the day. Fathers are more inner family-oriented on these days, so making everything comfortable around them and giving them a chance to have all time with the kids , is more than enough for them to make it fun. The best way to make the father’s day is QUALITY TIME, merely staying at home, is not going to serve the purpose. A quality conversation, sharing with him his past life and rejoicing him for being an intimate part of his life is one of the best ways to make things healthy for him. Many retailers online make the best father day chocolate gift hampers, to enhance the taste of intimacy. There is no magical connection of love and chocolates, but it makes emotional brain more receptive to external notions of affection and empathy, that helps strengthens the bonding between children and their father. Along with that, the sweet flavour activates mood uplifting brain centres, which makes moods and emotions more pleasant and loving. One can select any type of chocolate, favourite to their fathers, from the colourful quality selection of confectionary. Making the hamper more fun and lasting for days, retailers add greeting cards and add-ons of their special services. The service makes it all more pleasant and fresh products are no less than a heavenly experience. 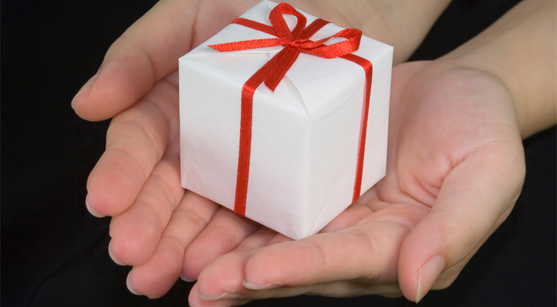 How gift hampers can boost your business? Corporate gift hampers contain a bunch of items from the things that are kept over the desk such as clocks, mugs, and picture frames, to rich foods and drinks like cheese, coffee, chocolate and bottles of expensive liquors, Wines, Brandies, and Whiskeys with glasses. The mix that you put into the hamper depends upon you. So, you can customize a hamper as per the nature of the company before sending it. When you are buying a hamper for a large group of people, it becomes quite tough to ensure that you don’t miss out anyone. Having people on a list can help you wrap a gift for everyone involved. 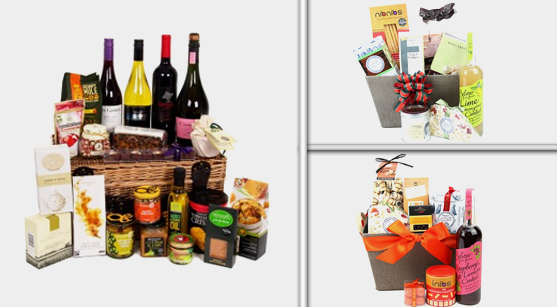 Gift hampers are a great way to appreciate the relationship or involvement of a company in your profitable venture. Investing a small amount of money on gift hampers on a yearly basis and sending it to the best customers is a positive thing to do for building a long-term relationship for gaining profits. After all, nothing can beat the human nature that wants to be thanked and recognized for the loyalty and hard work. So, small gifts can definitely help your business by ensuring that your products and services are close to your customers’ hearts. Gifts hampers can also contain items that are not related to your company, but consider putting some of the items with some information about your company to promote your brand. 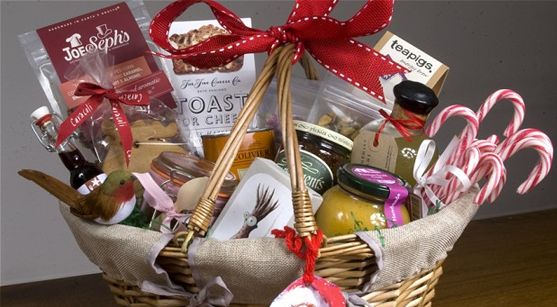 Anyone receiving the hamper will know about your products and may suggest them to others. The items such as desk clocks and pens can be easily branded by marking the company’s logo on them. If required, you can also include contact information and slogans over mugs and glasses. This will ensure that your company gets more exposure in the minds of people, who did not know about your products. The gift hampers can be sent after successfully completing a year or during special anniversaries of the company. Why sending gift hampers to public is important? 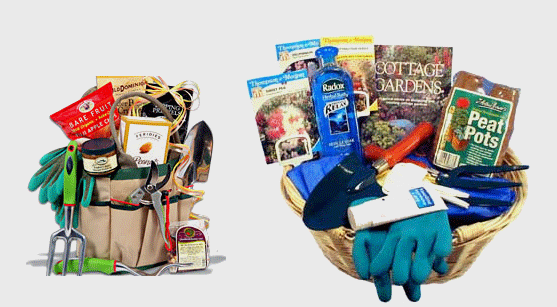 Giving gift hampers is also a great way to promote your products and services to the public. The recipients are most likely to take the items such as shirts, golf supplies, and pens to their home and introduce it to their family members and friends. Maybe the branded items will also be seen or shared with others, which will increase the brand recognition. It is a known fact when it comes to marketing and advertising industry that more times the people see the ads and logo of the products, they are likely to gravitate towards them. Finally, a group of them will end up buying them and become regular customers. So, send gifts to customers or potential ones to remind them that you are helping them and looking forward to work with them in the future. 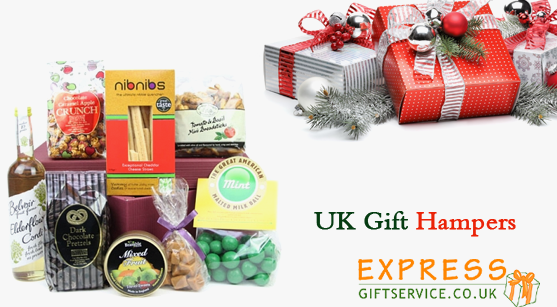 Also, ensure that gifts you are sending to the customers by gift hampers delivery in UK are of good quality and will improve their lifestyle.